A refreshing kick for new energy & relaxation! 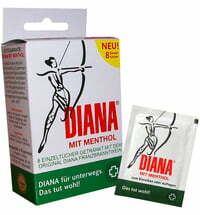 Diana's Rubbing Alcohol with Menthol is perfect for refreshment or for massages. For 120 years, this brand has been famous for its great effects. 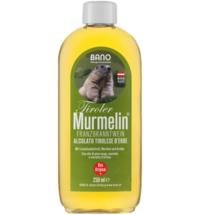 This popular, traditional home remedy is produced according to its original recipe and is bottled in environmentally friendly glass. The design features the Roman goddess, Diana. High-quality ingredients in their purest form ensure a top quality you can feel right away! Natural menthol cools the skin, stimulates the blood circulation and helps tired and stressed muscles feel fresh again. This product is recommended for classic foot care, muscle soreness and stress, as well as when you're feeling under the weather, or are dealing with tiredness, fatigue or other discomforts. Ideal for use after sports, hiking, dancing or just for everyday wear. Enjoy a fresh kick for new energy and relaxation. 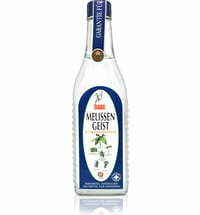 *Please note- the packaging is in German. Ingredients (INCI): Denatured alcohol, Aqua, Menthol, Sodium Chloride.